Our father, son, husband and friend, Tom was born Nov. 26, 1948, in Indianapolis, Ind. He graduated from Arlington High School in 1966 where he played first chair trumpet in the orchestra and excelled in math and sciences. After high school he attended Massachusetts Institute of Technology and graduated in 1970. In December of the same year he married Charlotte D. Unger, and they moved to New Hampshire where he lived and worked for several years remodeling and restoring old New England homes. He and Charlotte moved to Seattle in 1976 to be near her family. At first he worked with his brother-in-law Bob in his computer services business, then at Tyee Aircraft for his father-in-law. Tom held several positions at Tyee, where he learned all aspects of the business. Ultimately, when Charlotte's father retired, Tom became president of the company. Together, Tom and Bob grew and expanded the business to include companies in Liege, Belgium, and Glenrothes, Scotland. All the companies benefited from their management talents. During this time, Tom also benefited the community of Snohomish County by serving on and chairing the boards of United Way and the YMCA. Tom and Charlotte moved to the Wood River Valley in 1993 where Tom continued to lead Tyee by working from home. He also traveled a good deal of the time until the business was sold in 1998. 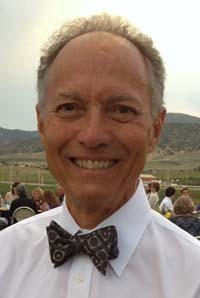 From 1998, Tom devoted himself to his community by serving on and chairing the boards of the Community School, Sun Valley Ski Education Foundation, the YMCA and the Ketchum Community Development Corp. When Tom was not working, he surely knew how to play. He loved backcountry skiing, hiking and biking, and shared his love of good food and wine with family and friends. In all aspects of life, he worked to be a role model for those around him. He was a capable leader, a master of all the details and a good listener. He was kind, fair, thorough in all things and a gracious man. He loved his family above all else. He spoke proudly and lovingly of the accomplishments of his three sons, Geoffrey, Graham and Spencer. Tom and Charlotte enjoyed all their years of marriage as best friends and the loves and lights of each other's lives. Thomas George Unger died peacefully on Friday, July 20, 2012, at University of Washington Medical Center Hospital after a brief, intense battle with cancer. He will continue to be a guiding spirit for all who knew him. Tom would have wished for any memorial gifts to be made to the Community School, Sun Valley, Idaho; or Wood River YMCA, Ketchum, Idaho; or Sun Valley Ski Education Foundation, Ketchum, Idaho; or to a charity of your choice in your own community, especially those supporting education or sports for kids. The family will have a memorial service for Tom on Sept. 29 in Ketchum, Idaho. Details will be announced in the Mountain Express.